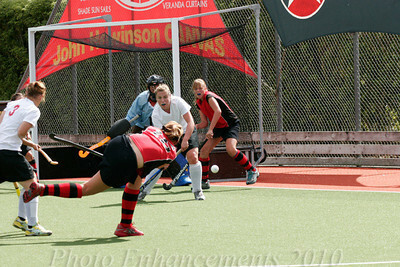 Hockey action on Saturday at Whangarei Hockey stadium. Northland men and women took on Auckland. Northland women won 2-1, the men going down 7-0. Northland are in red. 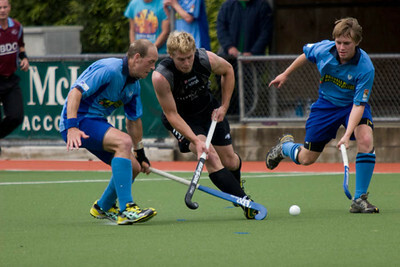 Hockey photo update from Whangarei, Northland. On Saturday prem teams Hikurangi and Kamo played off, while on Sunday Northland U18 men played a series of matches, this one being against Counties. Friday night last week saw Maungakaramea in the green take on Rodney. ‘Karamea beat Rodney 6-1. Two more galleries added over the weekend. 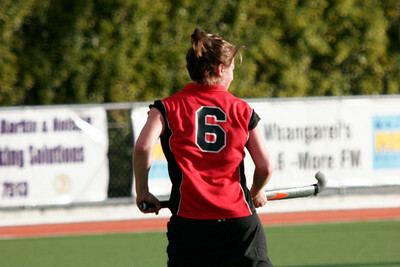 Friday night in reserve women grade, Old Girls played Whangarei Girls High. Saturday afternoon, new team Springfield played Hikurangi. 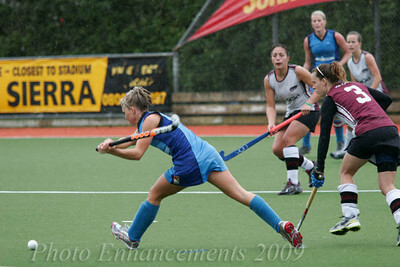 A lot of good shots in these action packed games.In this photo Hikurangi are on attack shooting for goal. Springfield won the game. 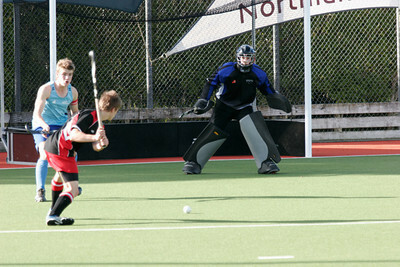 Got back from Nelson at the Masters National Hockey Tournament. Tired from a long week of hard hockey games. We eventually finished 5th in our grade, the 35+ women doing the best by coming 3rd. Now catching up with all work, and a backlog of blogs to write up. 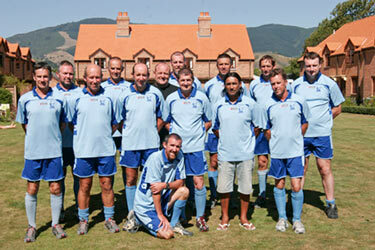 This is a picture of my 40+ mens’ team. More hockey photos to follow. It’s that time of year again! 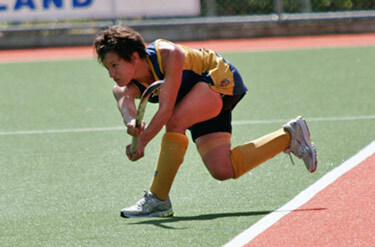 The National Masters Hockey Tournament is being held in Nelson this year, and I’ll be playing in the 40-45 year old age group. As a consequence, I’ll be likely out of contact until Monday 8th of March. All work has been done to the last minute, all enquiries handled. Now it’s time for hockey! If I have internet access I’ll try and remain in contact. 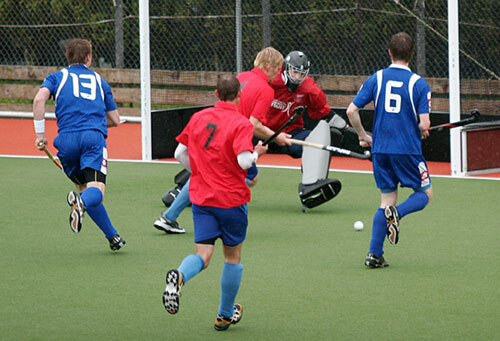 On Sunday 25th October the New Zealand Black Sticks Mens’ Team played against a Northern invitation side comprising Northland and North Harbour hockey players. 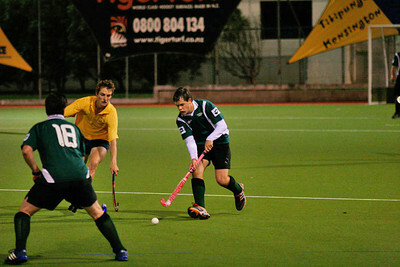 The match was held as a fundraiser for ex Northland player Mike Delaney. A Junior Black Stick and North Harbour NHL player, Mike suffered a broken neck some months ago and has since been making a long slow recovery. Michael’s family have made a massive financial commitment to get Michael over to Germany for stem cell surgery, which is hoped will aid him in his battle back to a normal life. The weekend of events including evening dinner and the game was hugely successful. 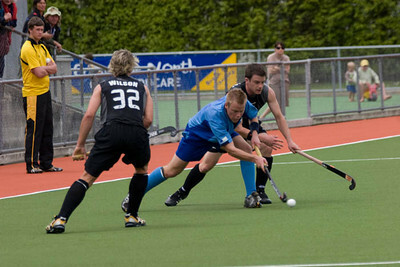 The Blacksticks won by a huge margin. 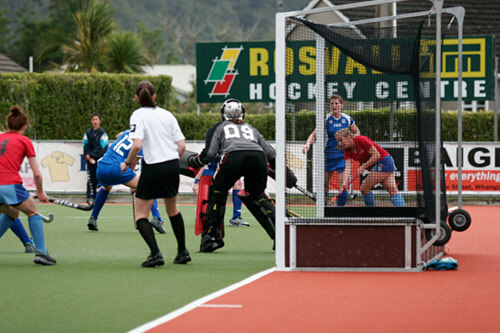 Round 1 of the National Hockey League (NHL) was played between North Harbour and Northland men and women over the weekend at the Whangarei Hockey Stadium. 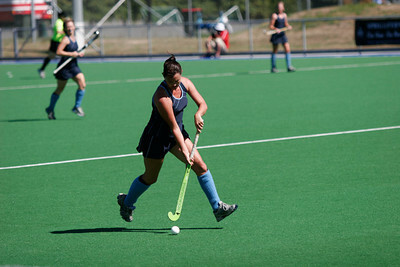 In the womens’ game Harbour won 4-2, while the Northland men went down to Harbour 7-1.